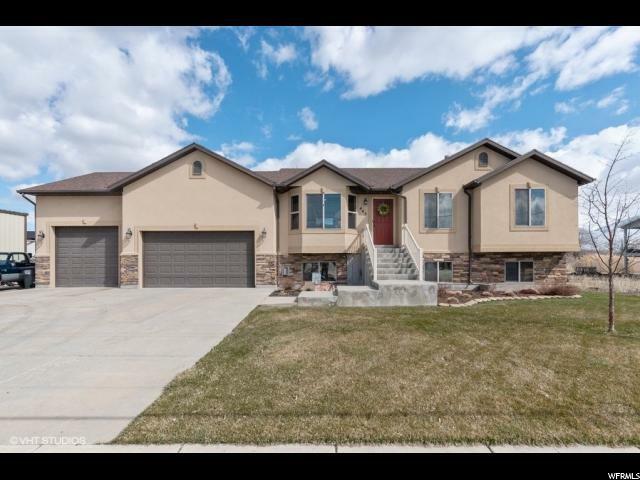 There is so much to love about this home including the amazing mountain views from the back deck and large lot zoned for 1 horse and the incredibly huge workshop! The shop is approximately 1440 square feet or 32 x 45 feet with 2 garage doors - one 14 x 14 and the other is 12 x 12. Perfect place to work and store all your toys including your RV. 220 V service with heater and 1/2 bath plumbed. 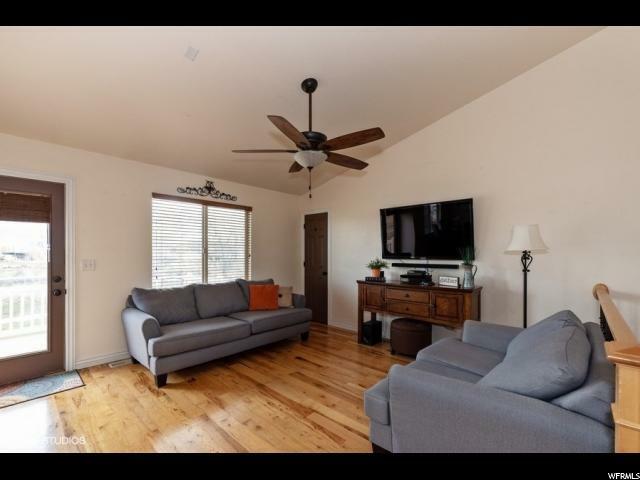 Home is clean and well cared for with beautiful hickory wood flooring in kitchen/dining/family room and beautiful knotty alder cabinets. 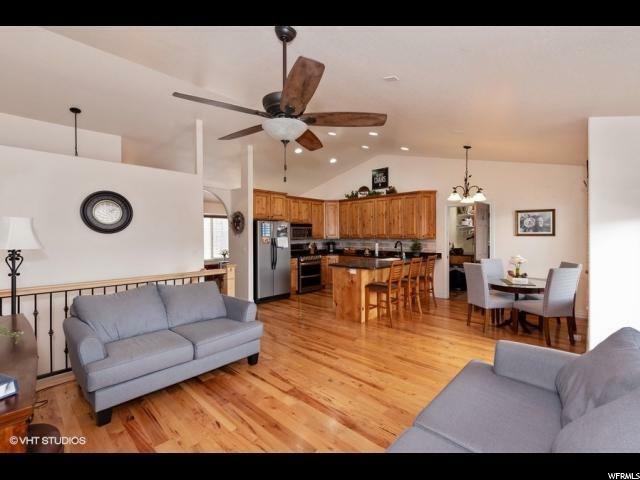 Kitchen has large bar and tons of storage. Spacious master suite with grand master bath and walk in closet. Basement has been built custom for a mother in law with a kitchen (kitchen does not currently have stove/oven) basement entrance, bedroom with private bathroom. Stair chair can stay if desired. Tons of storage space (not included in square feet )under the laundry room and accessible from the home and garage. 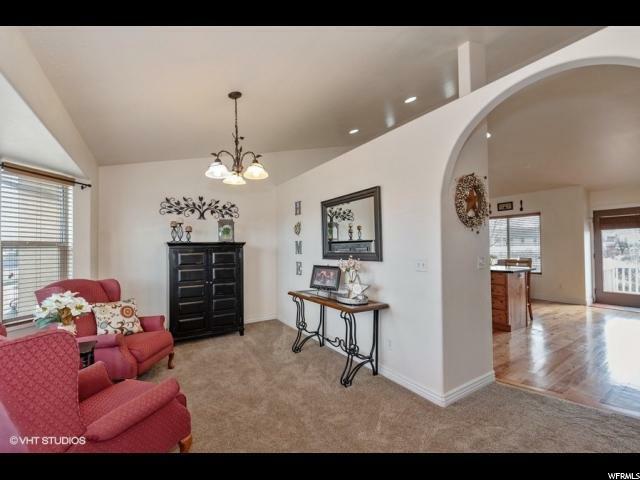 Terrific West Kaysville location close to shopping, walking trails and schools. Please contact agent for an appointment to see this amazing property. Square feet per county records buyers to verify all.